Because it's always been done that way is the reason we question it. We understand human behaviour to change human behaviour. We help people see their world slightly differently. We are a leadership company that exists to create successful, empathy-driven organisations and leaders. Our mission is to be the most human & empathetic leadership company in the world. We believe to make an impact on your world you need to understand how to switch people’s behaviours. It's part science, part creativity. We help leaders create more successful, human and empathy-driven workplace culture and customer experiences. Understanding what motivates and drives your people and your customers lies at the heart of everything we do to help shift cultures and customer experiences. 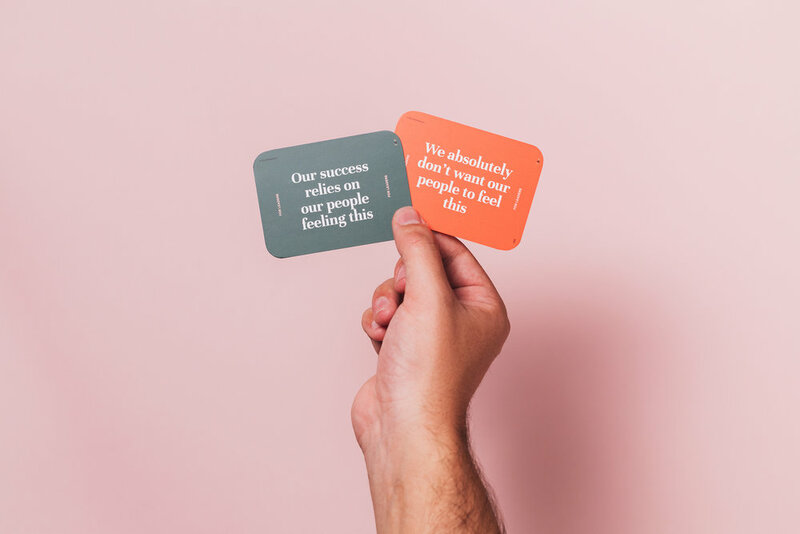 We create simple, face-to-face games that help leaders co-design workplace and customer experiences in a simple, human way. For anything to change, you have to reach both people’s rational minds (your rider) and their emotions (your elephant). The type of organisations we work with doesn’t matter so much, but the types of people do. We love to work with entrepreneurial leaders who are driven to improve how they connect and care for their people and their customers. The leaders we work with are CEO's, Founders, Human resource managers, People & Capability specialists, Brand managers, Customer experience managers, Team leaders and coaches.